H&H Motors registered more cars in Waterford than any other dealer in 2017. The market-leading dealership also picked up two prestigious awards at the 2017 Renault Ireland Dealer of the Year Awards. We visited their busy showroom on the Butlerstown Roundabout and met commercial sales manager Michael Cummins to find out more. Last October, H&H Motors Waterford struck gold on the double at the annual Renault Ireland Dealer Convention in Cavan, where Renault and Dacia dealers from around the country gathered to look back on 2017 and begin their preparations for 2018. The Convention climaxed with the highly-anticipated Renault Ireland Dealer of the Year Awards and H&H Motors Waterford duly collected two awards - the Renault RCI Bank of the Year 2017 as well as Renault Territory of the Year 2017 (in conjunction with O’Brien Kilkenny, Cleary Motors, P+H Motors and Menapia Motors). H&H Motors has every base covered. 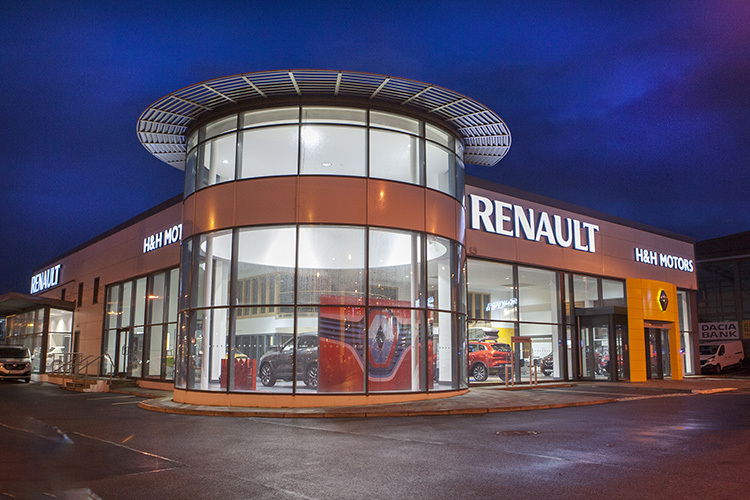 Not only is Renault the best-selling marque in Waterford … they also have their own bank! The bank is open for business to commercial vehicle and passenger car customers alike and H&H put more business through Renault Bank than any other dealer in 2017. And as an authorised Renault Pro+ centre, the Cork Road dealership is perfectly positioned to provide an outstanding service to commercial vehicle drivers: “A lot of work has gone into the commercial side of things since I have been here,” notes commercial sales manager Michael Cummins, who joined the H&H team 18 months ago but has been working for the Boland Group for 16 years. “Our general manager Keith Cullinane has overseen a major drive to ensure that out vans are tailored to customers’ exact requirements. “For example, we can put slam locks on doors to make the vehicles more secure and we also do ply-lining and signage here in our workshop as well as attaching ladders, roof bars, tow bars, etc. We’ve also got a few Renault vans refrigerated for our customers, so we really are a one-stop shop for a customer who is looking for a commercial vehicle. That vehicle will leave our premises converted to their exact needs. “Meanwhile, with the backing of RCI Banque and their low interest rates, it has made our commercial vehicles an even more attractive proposition. Add in the class-leading five-year / 200,000km warranty and there has never been a better time to buy a new Renault van. Little wonder customer numbers continue to increase while the commercial vehicle aspect of the business is getting stronger all the time! Employing up to 28, H&H Waterford is an exceptional dealership offering a truly fantastic range of new Renault and Dacia cars and vans backed up by premium customer service. Renault – who launched seven new brands in 2017! - are the No.1 and fastest-growing brand in Waterford city and county, and H&H Motors is the busiest and best-stocked dealership in Waterford. In line with Renault’s new presentation template, the showroom at H&H Motors was completely revamped last year – one of the first dealerships in Ireland to receive this stunning transformation. Furthermore, towards the end of the year, an additional renovation was carried out to ensure that commercial vehicles could be better displayed. In short, the directors are not afraid to invest money to make sure they are providing the best service right across the board. The Renault commercial vehicle range is, of course, legendary, encompassing the Kangoo, Master and all-new Trafic, with an array of options and configurations available in each model. “The Trafic crew vans are particularly popular at the moment, with a lot of builders opting for them. You can carry seven men in one, so they are extremely convenient and there are a lot of savings to be made. Obviously, as Renault vehicles, they are also very economical and dependable, with our five-year warranty and low-cost finance also available,” Michael continues. While most of their business is carried out in Waterford, it’s no surprise to learn that H&H Motors’ reputation for excellence has spread through word of mouth and they have sold commercial vehicles to customers from many other counties, including Cork, Wexford, Kilkenny and Carlow. 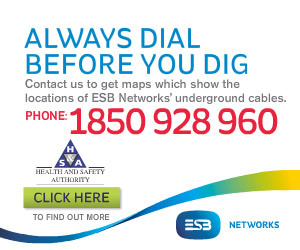 “We have one Waterford-based client who is building in Dublin at present and we get a lot of calls from people who have seen his van on the road,” Michael notes.